The electricity consumption of compact fluorescent lamps (CFLs) and light-emitting diode (LED) lamps is low, making them a useful tool for minimizing the rapidly increasing demand for electrical energy in India and elsewhere. This chapter aims to project the likely electrical energy conservation in a scenario of complete replacement of existing fluorescent tubes (FTs) by CFLs or LEDs at the Council of Scientific and Industrial Research (CSIR)-National Environmental Engineering Research Institute (NEERI), including the financial repercussions and indirect reduction in emissions of greenhouse gases (e.g. CO2, N2O, CH4) and carbon footprint, as well as a few important air pollutants (e.g. SO2, NO, black carbon, suspended particulate matter (SPM), mercury) in a coal-fired thermal power plant. The calculations show that the institute could save around 129,870 and 164,970 kW h of electricity per annum by replacing FTs with CFLs and LEDs, respectively, thereby saving approximately INR 1357,142 (US$21,935.37) and INR 1723,937 (US$27,863.85) in electricity costs per year for CFLs and LEDs, respectively. The use of CFLs and LEDs would be able to minimize approximately 47,127.14 and 59,863.94 kg of CO2–C equivalent emissions over a 100-year time horizon, respectively. Moreover, reductions of approximately 961, 1,039, 10, 390, 19, and 0.55 kg of SO2, NO, BC, SPM, PM10 and Hg emissions per year, respectively, could be achieved in electricity conservation by replacing FTs with CFLs at CSIR-NEERI. Reductions of approximately 1,221, 1,320, 13, 495, 25 and 0.7 kg of SO2, NO, BC, SPM, PM10 and Hg emissions per year, respectively, could be achieved by replacing FTs with LEDs at CSIR-NEERI. 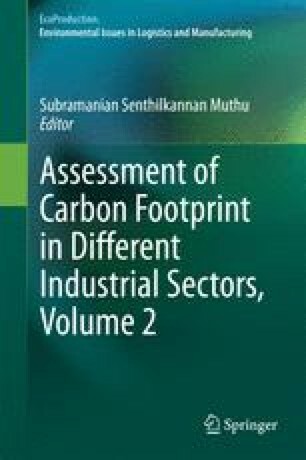 The authors are grateful to the Head of Engineering Services (Electrical), CSIR-NEERI for providing requisite information for carrying out this study and also to the Head of Business Development Unit, Head, Air Pollution Division and Director, CSIR-NEERI for their continuous support and necessary guidance.